Excel Reports are not available offline on the installed version of the software. 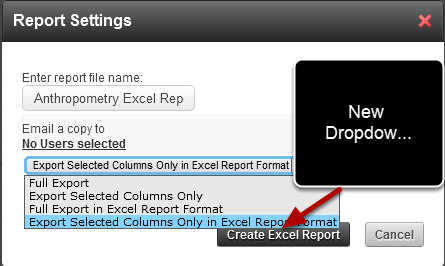 To enable users to export their data out of the system offline and then paste it into an existing Excel Report users can now generate a csv. in the same format as an Excel report (for one specific data type). 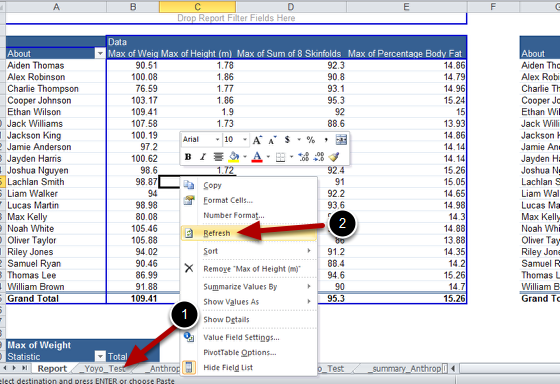 The image here shows an Excel Report that has been opened and needs to be updated with data entered offline. 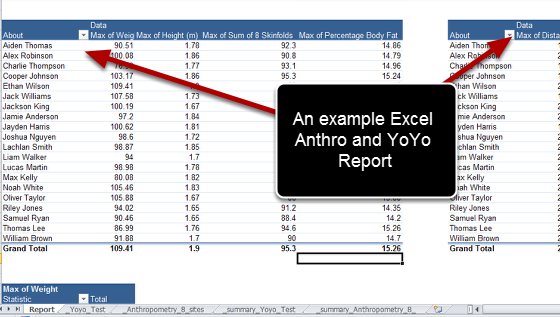 The example here shows an Anthropometry and YoYo Excel Report. 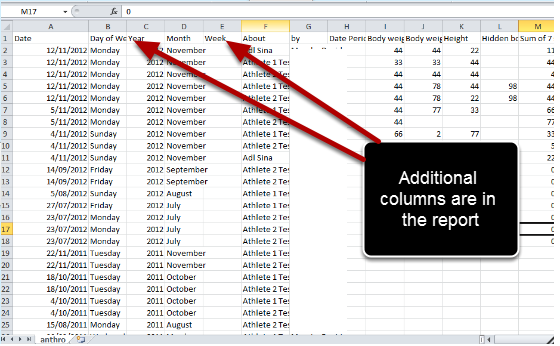 Now go back to the system to generate a csv export of the data that is used in the Excel Report (e.g. the Anthropometry Event Form and the YoYo Event Form). The example in the image here shows a report being generated for the Yoyo data. 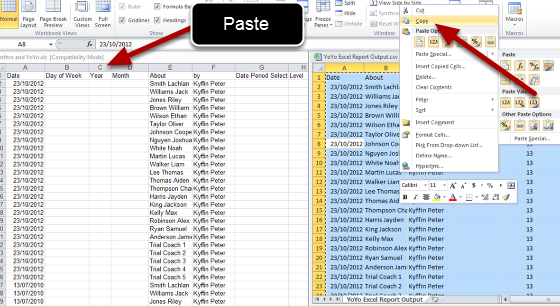 Then click on the Excel button to generate a csv report.